Yesterday was a fantastic Christmas Day. On Christmas Eve, my parents and I went to the Christmas Eve candlelit service at our church and it was everything I remember it to be. 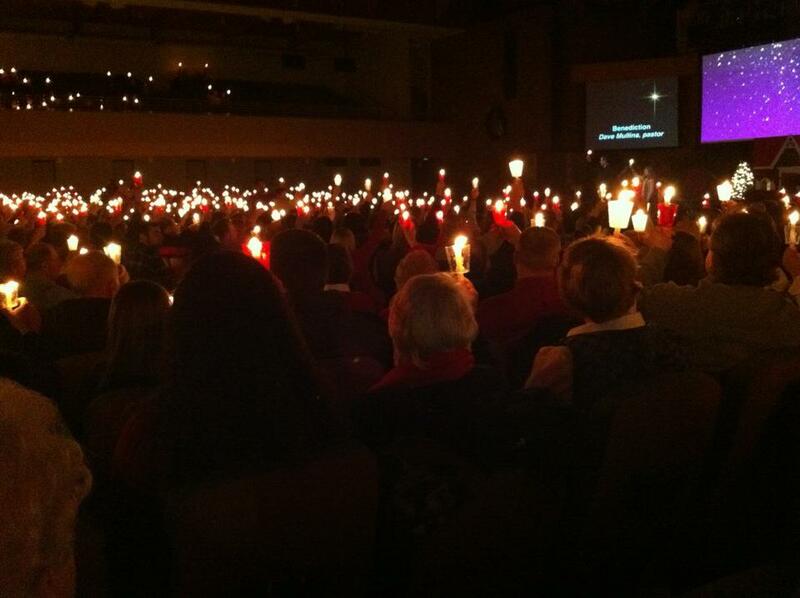 My favorite part is when everyone lights their candle and holds it up in the air. 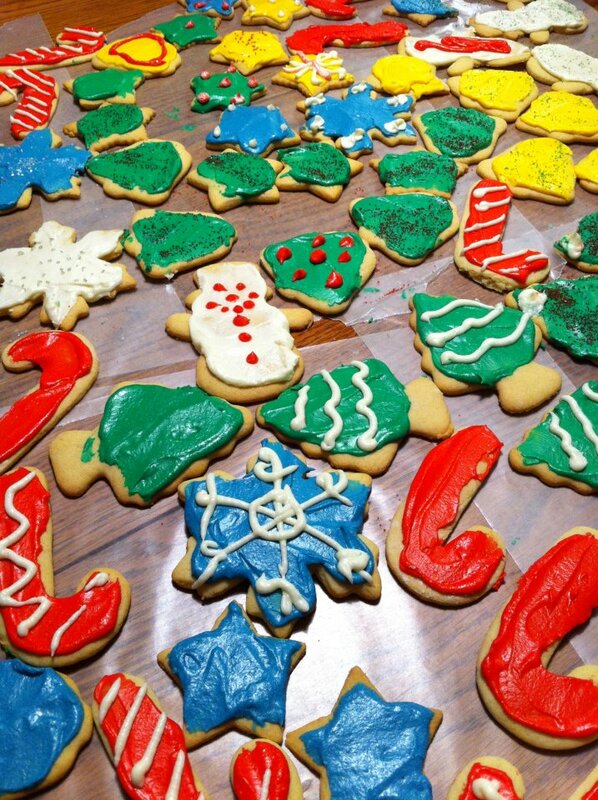 After we got home from church, we baked more Christmas cookies! That was the 3rd time we've made cookies this year, so that's almost 300 cookies! I love it. Christmas Day was wonderful. We woke up around 10 and opened the presents under the tree. We let the dogs unwrap theirs first. Well, Howie did most of the unwrapping for everyone. He loves to rip up paper, so it was kind of a dream come true for him. The best moment of opening presents was seeing my mom's face after she opened the calendar I made her. She saw the front of it (a picture of Howie as a puppy) and immediately teared up. After unwrapping the presents, we had Christmas dinner. Mom made a turkey and a ham along with corn casserole, mashed potatoes, stuffing, potato casserole, green beans, deviled eggs, and pistachio pudding. It was delicious! Then, after a big meal, Simon and I watched Mary Poppins, took a nap in the middle of it, finished it, then watched Just Friends (one of my favorite holiday movies)! Of course, later, we had to eat some leftovers and play video games: Mario Kart 64. I got all 8 seasons of Will & Grace as a gift from my parents, so Simon and I watched 3 episodes and fell asleep sometime after that. I received some other amazing gifts such as the Gaga x Terry Richardson book, The Monster Ball DVD of Lady Gaga's concert in Madison Square Garden, a fantastic new robe (with a hood! ), house slippers, gift cards for iTunes and Tijuana Flats, a really useful portable scanner (I linked it because I don't know how to describe it, haha), gloves, Bath and Body Works lotion, The West Side Story DVD and soundtrack, pajamas, money for shopping, Sperry's, and a few other things that are escaping my mind at the moment. It was a wonderful first day of Christmas, and I couldn't ask for better friends and family.